Every Day Counts (EDC) was instrumental in expanding deployment of geosynthetic reinforced soil-integrated bridge system (GRS-IBS) technology from a handful of bridges to more than 200 and demonstrating the technology’s versatility and value for widespread use. Deployment of the Geosynthetic Reinforced Soil-Integrated Bridge System, Federal Highway Administration report #FHWA-HIF-17-043, highlights the range of project sites, bridge structure types, and construction materials that can be used with GRS-IBS and the EDC program’s role in increasing understanding and adoption of the innovation. 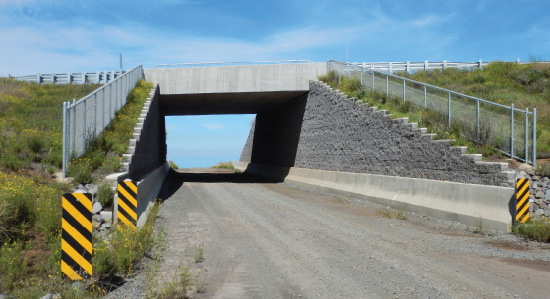 Time and cost savings are the chief reasons agencies choose GRS-IBS, a method of bridge support consisting of a reinforced soil foundation, abutment, and integrated approach that blends the roadway into the superstructure to create a seamless transition. The Mount Pleasant Road Bridge, built by a county workforce in Huston Township, was the first GRS-IBS in Pennsylvania. Credit: Pennsylvania Department of Transportation. Compared to conventional construction methods, GRS-IBS can reduce construction time from months to weeks. States and localities report that using GRS-IBS can save 25 to 60 percent in project costs, enabling agencies to stretch limited resources and build more bridges. “Time and cost savings result from the simplicity of the design and construction procedures as well as the materials selected for construction,” said FHWA Senior Technical Engineer Daniel Alzamora, who led the EDC team promoting GRS-IBS deployment. Defiance County, OH, built the country’s first GRS-IBS bridge in 2005. The 25 percent cost savings on the project encouraged the county to keep using the technology, and it now has 34 GRS-IBS bridges—10 percent of the county’s bridge inventory. As Defiance County engineers gained experience with GRS-IBS, they shared their knowledge at EDC events and conferences. That’s how Hamilton County, IN, engineers learned about the technology. “We were interested in GRS-IBS because of its flexibility to adapt to any project site and blend into the environment’s aesthetic,” said Faraz Khan, Hamilton County Highway Department engineer. They also chose GRS-IBS to accelerate construction and cut costs, saving $55,000 to $75,000 per bridge on the county’s first four projects. Presentations at transportation events on Pennsylvania’s first GRS-IBS project in Huston Township piqued the interest of other municipalities and resulted in the construction of an additional 21 GRS-IBS bridges on low-volume State and local roads. The Pennsylvania Department of Transportation (PennDOT) developed GRS-IBS design guidance to help municipalities plan and build projects, then adapted it for PennDOT use. “As more projects are completed and the process proves its merit, I believe it will be more widely adopted as a viable alternative for bridge construction,” said G. Randy Albert, PennDOT municipal services supervisor. After initial deployment on low-volume roads, use of GRS-IBS expanded to projects on the National Highway System. The Interstate 84 bridges over Echo Frontage Road near Salt Lake City, UT, were the first GRS-IBS structures constructed for higher average daily traffic (ADT)—8,300 vehicles, including 40 percent trucks. From 2013 to 2015, 20 GRS-IBS bridges were built on roads and interstates with ADTs from 2,000 to 34,000. 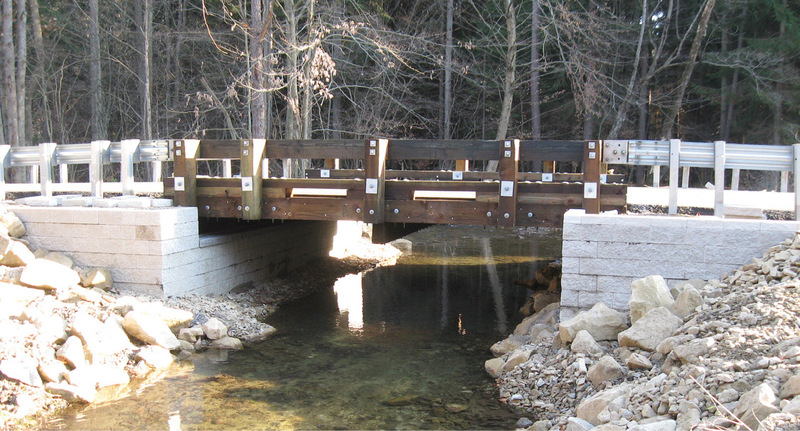 A project in Dodge County, WI, to replace two bridges over streams was one of several that demonstrated the feasibility of GRS-IBS for water crossings. The project highlighted the system’s resilience when flooding of a cofferdam during abutment construction immersed the half-finished abutment on one bridge. After the enclosed area was dewatered, no damage was found and construction resumed quickly. GRS-IBS bridges are also built over railroads, which typically require tall walls and long spans to accommodate trains passing underneath. The first, built on County Route 55 over Minnesota Southern Railway tracks in Rock County, MN, included abutment walls up to 26 feet high and a 78-foot span. A unique feature was the 5.3 percent grade required to provide clearance for passing trains. 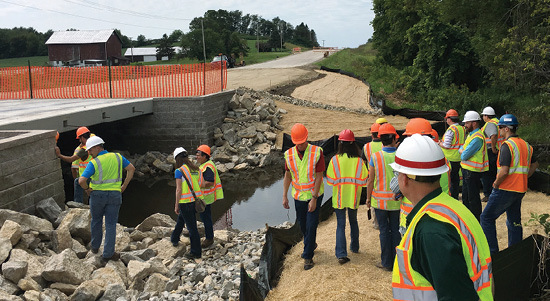 Every Day Counts showcases, such as one in Dodge County, WI, enabled transportation professionals to observe GRS-IBS construction in person. The design team for Hawaii’s Daniel K. Inouye Bridge developed guidance for design of GRS abutments in seismically active locations. Several GRS-IBS structures were designed and constructed for seismic loads. Daniel K. Inouye Highway Bridge on the Big Island of Hawaii was the first GRS-IBS to be designed for relatively high (0.58g) peak ground acceleration, the horizontal acceleration represented as a fraction of Earth’s gravity. The work of the project design team contributed to advancing guidance for future GRS-IBS structures in seismic zones. The efforts of the EDC deployment team to provide technical assistance and training and spearhead demonstrations to showcase GRS-IBS paid off. By the end of EDC round three in December 2016, more than 200 bridges were built in 44 States in a variety of environments, confirming that GRS-IBS can be a practical, cost-effective solution in replacing the Nation’s aging infrastructure. Collaboration through the State Transportation Innovation Council (STIC) network is a valuable tool to advance innovations that speed project delivery and save taxpayers time and money, says Acting Federal Highway Administrator Brandye Hendrickson. “I encourage all of you to work together, share good ideas, and inspire the next generation of innovative thinking,” Hendrickson told participants in a National STIC Meeting in October 2017. FHWA Chief Innovation Officer Tony Furst urged STICs to brainstorm about the future of transportation and the tools needed to get there. Including the research community creates a mutually beneficial relationship in which researchers can discuss their findings with practitioners who implement them, he said. Researchers and practitioners work hand in hand in Iowa, where the Iowa Highway Research Board established in the 1950s now serves as the STIC. In addition to helping the Iowa Department of Transportation (DOT) and local governments pursue transportation research, the board evaluates and selects innovations for implementation. Its diverse membership includes representatives from the Iowa DOT, FHWA, counties, cities, and universities. The board used STIC Incentive funds to investigate the feasibility of and develop an implementation plan for using 3D modeling tools to design bridges and structures. 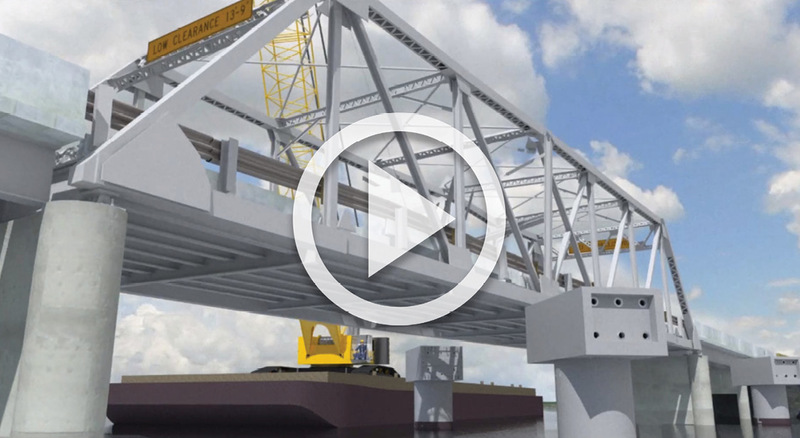 As part of the plan, the Iowa DOT developed a 3D engineered model that will be included in the project contract documents for an I-80/I-380 pilot project to construct ramp bridges. FHWA Center for Accelerating Innovation Director Thomas Harman discussed a new program that will be rolled out to bridge the gap between research and practice. The Accelerating Market Readiness program will support emerging, transformative innovations that are not yet market ready by providing resources for rapid assessment and development of objective written findings. FHWA’s STIC website houses useful tools, such as the “Power of the STIC” video series highlighting benefits of STIC participation. The State Innovation Accomplishments map displays innovative projects, examples from articles and reports, and STIC network contacts. “Take Your STIC to the Next Level” outlines STIC best practices. The STIC Incentive program provides funding to make innovations a standard practice statewide. The Accelerated Innovation Deployment Demonstration program offers incentives to offset the risk of using new innovations on transportation projects. One innovation developed under FHWA’s internal Accelerating Market Readiness program is the Mobile Solution for Assessment and Reporting (MSAR), a software tool for cell phones and tablets that replaces paper for collecting information on disaster damage. In 2017, FHWA and State agencies used MSAR to accelerate disaster assessment and reporting after storms in Florida, Puerto Rico, Texas, and the U.S. Virgin Islands and fires in the western United States. FHWA offers State agencies 1-year licenses to test MSAR. For information, contact Sergio Mayorga of FLH. View the meeting and presentations at the National STIC Meeting Recordings page. Weather forecasts help travelers decide whether to carry an umbrella or wear a coat, but don’t tell the whole story of what they’ll encounter on the road. Road weather information, however, provides travelers with the state of the driving environment with a focus on precipitation, visibility, wind, and road conditions. Targeted messages on road weather deliver information on current or predicted impacts, such as hazardous conditions, service reductions, and road closures. The Every Day Counts round four (EDC-4) initiative on road weather management—weather-savvy roads promotes two solutions to address weather impacts on the highway system: Pathfinder and integrating mobile observations (IMO). Agencies can adopt one or both to manage the surface transportation system before and during adverse weather events, including severe storms, icing, high winds, dense fog, blowing dust, and wildfires. Pathfinder helps transportation departments, the National Weather Service (NWS), and private weather service providers collaborate on clear, consistent, and actionable road weather messaging. 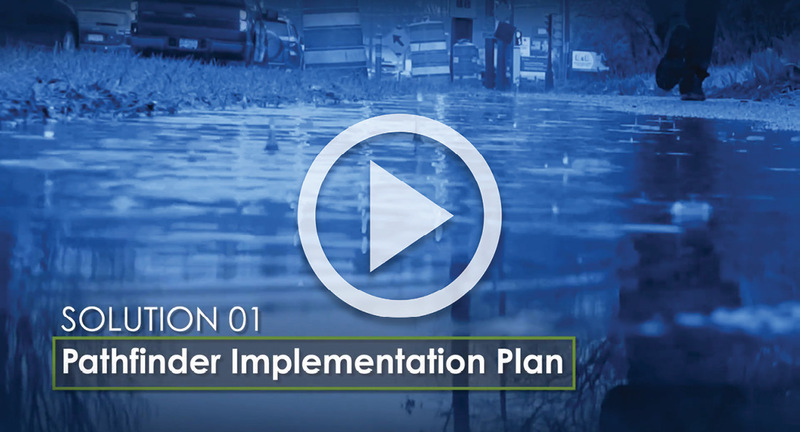 Through a multistep process, agencies coordinate on developing weather impact information to help drivers make better decisions, such as whether, when, and where to travel and safe driving speeds. The goal is to save lives, protect property, and minimize the impact of weather events. 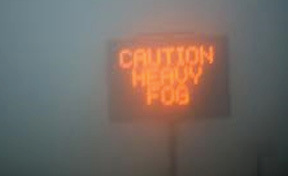 Road weather messages help drivers understand hazards and make better decisions on whether, when, and where to travel. “Pathfinder is all about making sure people understand the hazards on the roads and making sure they make the best decisions to protect themselves and their family,” said Andrew Stern, director of the NWS Analyze, Forecast, and Support Office. The Colorado Department of Transportation (CDOT) is implementing Pathfinder to improve its public communication on how weather events will affect the highway system. CDOT developed a chart it uses to determine incident severity and conducted 40 pre-storm conference calls in the 2016–2017 winter season to plan appropriate responses. CDOT also conducted a survey to determine the impact of Pathfinder on traveler behavior and plans to use the results to make improvements as needed. The Minnesota Department of Transportation (MnDOT) is developing procedures to use Pathfinder to manage the effects of blizzards and other weather events. In an EDC workshop on Pathfinder, staff from MnDOT, its weather service provider, NWS, and the Minnesota State Patrol used a blizzard in 2017 as a case study to assess challenges and opportunities that could be addressed under Pathfinder implementation, such as establishing a private NWSChat and promoting MnDOT participation in NWS webinar briefings. IMO is a cost-effective way to gather weather and road condition information using agency fleet vehicles. Vehicle-based technologies provide agencies with data to manage transportation systems and issue traveler advisories before the negative effects of road weather occur. Maintaining a high level of service on roads can reduce crashes and keep traffic moving smoothly. The IMO strategy builds on technologies many agencies already use for automatic vehicle location and real-time communication by adding sensors to collect road weather data. The Michigan, Minnesota, and Nevada Departments of Transportation collaborated with the Federal Highway Administration on a project to deploy sensors on snowplows and fleet vehicles and are sharing their experiences through EDC-4 peer exchanges and workshops. 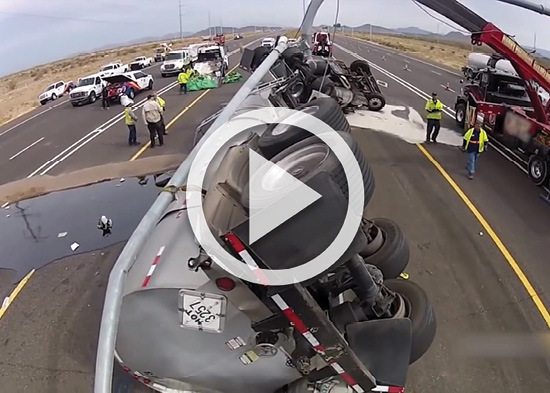 View an Innovation Spotlight video on weather-savvy roads. “IMO helps agencies optimize processes and procedures by providing information for salt reduction strategies, use of maintenance resources, and alerts to maintenance staff and work zone teams,” said Rodney Schilling, Nevada Department of Transportation assistant chief traffic operations engineer. Ultimately, integrating mobile observations can improve efficiency (cost), effectiveness (results), and accountability (measurement). “Everybody is trying to be more efficient, effective, and accountable,” Schilling said. One agency demonstrating vehicle-based technologies for IMO is the Oklahoma Department of Transportation (ODOT), which integrated electronic tablets into its snowplow fleet. ODOT runs tracking software on a web system to conduct real-time monitoring of winter weather operations in its central and field division offices. The system is capable of capturing a photo of the roadway every 10 minutes, generating useful information about road conditions. Watch the EDC-4 summit session on weather-savvy roads. See the Weather-Savvy Roads Resource Toolkit for case studies, data specifications, and videos on IMO and Pathfinder. Read Collaboration Across the Road Weather Enterprise: The Pathfinder Project for guidance on implementing the Pathfinder process. See the Road Weather Management website for resources such as training, publications, and research. Contact Paul Pisano of the FHWA Office of Operations or Ray Murphy of the FHWA Resource Center for information, technical assistance, and training, including workshops and peer exchanges. States that consistently measure the performance of their traffic incident management (TIM) programs can demonstrate program accountability and process efficiency as well as make the business case for future funding and support. Measuring the performance of traffic incident management programs helps agencies demonstrate accountability and efficiency. The Every Day Counts round four (EDC-4) initiative on using data to improve TIM encourages the use of available technology to increase the amount, consistency, and quality of TIM data collection and the adoption of TIM performance measures. Now a year into the effort, the EDC-4 team is working with 37 States pursuing the initiative. Central to the support provided to States is technical assistance and process formulation. Technical assistance ranges from creating data collection systems to providing analysis tools for reviewing TIM data. Processes relate to developing an inventory of data systems and a strategy to move TIM data collection and analysis forward. The EDC-4 team conducted 14 State workshops in 2017 for participants from transportation agencies, law enforcement, academia, and private industry. “They’ve been really good forums for identifying opportunities and beginning to lay out the approach and implementation plan for each State,” said Paul Jodoin, manager of FHWA’s TIM program and leader of the EDC-4 team. View an Innovation Spotlight video on using data to improve TIM. Review TIM performance measures, definitions, and data requirements. To maintain consistency at a national level, FHWA recommends that agencies collect and report three TIM performance measures: roadway clearance times, incident clearance times, and secondary crashes. Determine what data are available. These may include transportation agency data, law enforcement data, and information from sources such as towing companies and computer-aided dispatch systems. Collect and manage data. TIM data for performance measurement can be collected various ways, including by traffic management and operations centers, transportation personnel at the scene, and crash reports. A standardized TIM performance measurement data model can help States determine what data elements to collect and how to organize them in a database. Analyze data and report performance. A systematic performance measurement process involves collecting and analyzing data to determine if organizational goals are met, then using the information to make strategic and tactical decisions and reporting the findings to stakeholders and customers. Transportation agencies and law enforcement agencies use TIM performance measure data on monthly reports, dashboards, and scorecards. Engage partners in discussions about TIM performance measurement. A comprehensive TIM performance measurement program requires buy-in, support, and input from more than just the agency leading the charge. It’s important to look for and capitalize on opportunities to discuss the importance of TIM performance measurement with TIM partners. Institutionalize TIM performance measurement. Institutionalization ensures that performance measurement is a fundamental and repeatable process that is embedded in a TIM program and valuable to its ongoing success. P4P helps agencies and other stakeholders understand the data requirements for TIM performance analysis and reporting. Knowing where and how to obtain TIM data leads to more effective analysis and reporting. Ultimately, these steps help agencies move from an ad hoc approach to TIM performance measurement to a more formalized and institutionalized process. State crash forms are a proven way to collect TIM data. Thirteen States participating in the Every Day Counts using data to improve TIM initiative plan to add one or more TIM data elements to their statewide crash reporting system, and six more States are exploring the possibility. Other States are examining changes to traffic management center software or computer-aided dispatch integration to help them achieve TIM data collection goals. View the EDC-4 summit session on using data to improve TIM. See NCHRP’s Guidance for Implementation of TIM Performance Measurement web page for an overview and model database. Visit the FHWA’s TIM Knowledgebase for resources on practices and performance measurement. Contact Paul Jodoin of the FHWA Office of Operations for information and technical assistance, including workshops. The Federal Highway Administration invites State, local, and industry partners and the public to help identify innovations for deployment in Every Day Counts round five (EDC-5). FHWA seeks information on technologies and processes with the potential to transform the way the highway transportation community does business by enhancing roadway safety, shortening project delivery time, cutting traffic congestion, or improving environmental sustainability. EDC, now in round four, is a State-based model that identifies and rapidly deploys proven but underused innovations. Every 2 years, FHWA works with stakeholders to identify a new set of innovations that merit accelerated deployment through EDC. Innovations promoted through EDC facilitate greater efficiency at the State and local levels, saving time, money, and resources that can be used to deliver more projects. Since the program began, every State transportation agency has used 14 or more of the 43 EDC innovations, and some have adopted more than 30. Many of these innovations are now mainstream practices across the country. National impact: How will the innovation benefit the transportation system nationally? 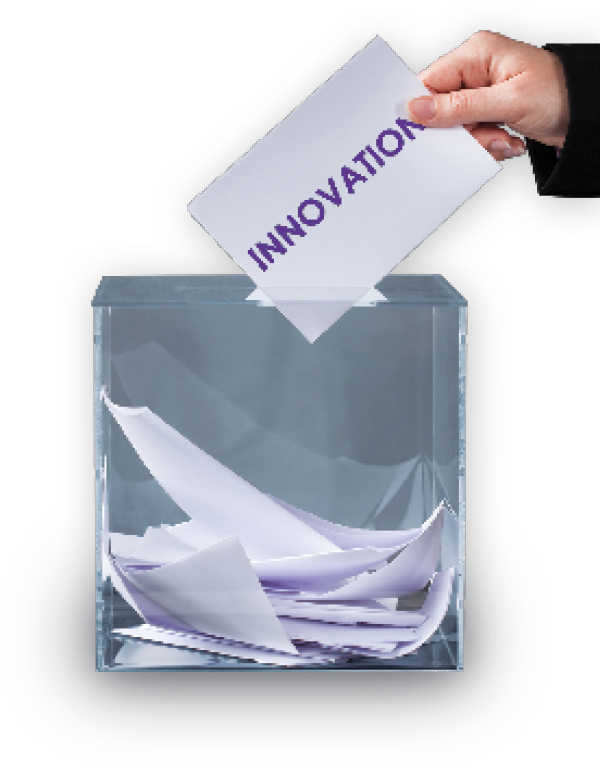 Game changing: How is the innovation transformative in saving time or money or improving quality? Urgency and scale: How will the innovation shorten project delivery and positively impact the environment, safety, congestion, freight movement, construction techniques, contracting methods, project costs, maintenance, preservation, or emergency response? See the EDC-5 Call for Ideas web page for information on submitting suggestions and send ideas to EDC-5suggestions@dot.gov by January 18. Contact Julie Zirlin of the FHWA Center for Accelerating Innovation with questions. The Colorado Department of Transportation used design-build contracting to encourage flexibility on planning and construction scheduling and to accelerate delivery of the I-25/Cimarron Street interchange project in Colorado Springs. The project, designed to enhance safety and operations, included reconstruction of the interchange, new I-25 bridge structures, and improved highway alignment. A new connector between 8th and Cimarron Streets is expected to cut traffic congestion at the intersection by 20 percent on weekdays and 40 percent on weekends. The Hawaii Department of Transportation and Federal Lands Highway collaborated to complete the Halona Street Bridge replacement project in Honolulu on time and within budget 9 months after construction began. The project replaced the bridge foundation, pavement, and railings to improve the safety and reliability of the structure. Innovations that contributed to timely project completion included prefabricated bridge elements, geosynthetic reinforced soil foundations, and allowing industry to compete on price and contract time. The Indiana Department of Transportation (INDOT) used slide-in bridge construction to replace the east- and westbound I-70 bridges over State Route 121 in less time than anticipated. The contractor bid 12 days of closure for each bridge, but each slide-in took only 8 days in which I-70 traffic was diverted across the median while the existing bridge was demolished and the new bridge, built in the median, was moved into place. INDOT used Accelerated Innovation Deployment (AID) Demonstration funds for the project, its first bridge slide on a major interstate corridor. The Minnesota Department of Transportation and city of St. James used AID Demonstration funds to construct two mini-roundabouts to improve safety and mobility on Minnesota State Highway 4. The first built in Minnesota, the mini-roundabouts replaced two signalized intersections in downtown St. James. Mini-roundabouts offer the safety benefits of regular roundabouts in a smaller footprint, making them appropriate for urban settings and other areas with constrained rights-of-way. The Virginia Department of Transportation (VDOT) developed the VDOT Junction Screening Tool (VJuST) to aid transportation engineers and planners considering innovative intersection and interchange geometrics to address mobility and safety issues. VJuST can be used to narrow the field of project design options for further evaluation. VDOT demonstrated the tool at its Local Programs Workshop in September 2017 and discussed its value in communicating with the public about innovative intersection designs.